Gildshire Sports comes to you every week with a look at upcoming games. We share our thoughts on the winners and losers, and perhaps an interesting tidbit or two. That’s usually. But, once in a while, a story takes place that deserves reflection. Such is the case with the University of Virginia’s men’s basketball team. What is the worst sports moment in your life? Did you strike out with the bases loaded? Did you dribble the ball off of your knee with the score tied, only to lose in overtime? A five-hole goal between your legs for the hockey championship? Those moments hurt, and you never forget them! But, Gildshire Sports submits that your worst day in sports was not as bad as the Virginia Cavaliers worst day on the field. 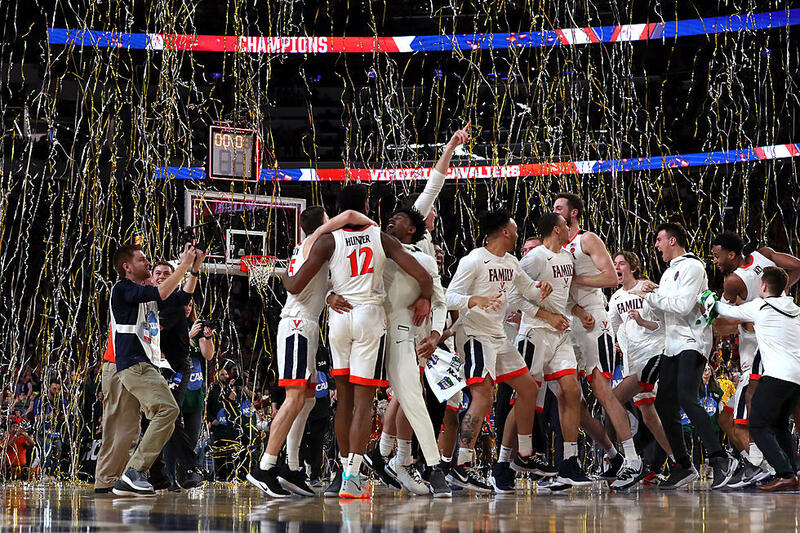 It was the first game of the 2018/19 NCAA basketball championships. Virginia was installed as a Number One seed, and expected to make a deep run in the tournament. The first domino to fall would be University of Maryland/Baltimore County, the 16 Seed. In the history of the tournament, not one 16 Seed had beaten a top seed, and the games were generally over before halftime. Who would Virginia play in round two? Well, at least the pundits were right about the game not being close, but it was the Cavaliers who never saw round two. UMBC stunned Virginia 74-54. The ignominy suffered by Head Coach Tony Bennett and his team was overwhelming! Players cry at the end of their seasons, but the tears the Cavaliers shed were thick and voluminous. Their names would be forever shamed. The players would wear their horror forever! Somehow, Coach Bennett fielded a team to start the 2018/19 season. (Some wondered if the Cavaliers would be able to field a squad after last year’s tourney debacle.) The season began Nov. 6 with a 73-42 win over Towson. The Virginia Cavaliers are the story of the last two seasons. Over the next five months, Virginia saw more success than failure. They were ranked Number One in the nation for a while, but lost by ten to Florida State in the ACC tournament. That was unexpected. Was this to be a year of missed opportunities? Selection Sunday came along, and Virginia was a Number one seed…again. They would play lightly-regarded Gardner-Webb in the opening round. Only fools don’t learn from their mistakes, so Gardner-Webb was in for a sound beating, or so one would think. Instead, Virginia came out of the gate as tight as a snare drum and fell behind in the first half by double digits. O…M…G… Surely not! Somebody (read that Tony Bennett) is getting fired if this happens again! The Cavaliers righted the ship and won going away. That began the magical part of this mystery tour. Virginia dispatched Oklahoma by 12, beat a gritty Oregon Ducks team by four, and then faced Purdue. Tight throughout the second half, the game would go into overtime. Trailing early in the extra stanza, Virginia came from behind to win. Final Four weekend saw Virginia matched up against the Auburn Tigers on Saturday. Junior guard Kyle Guy hoisted a shot as the buzzer sounded. The shot missed and Auburn fans celebrated! But, wait!!! A foul was called on that final shot and Guy stepped to the stripe to cooly knock down the three foul shots that would send Virginia to the championship game against the Texas Tech Red Raiders. Tech wouldn’t go down easily, because that is the way with this Cavaliers’ team. But, the Virginia Cavaliers, one year from agony, was to know ecstasy this time around. 85-77 in overtime. It was one shining moment for the team that rose from last year’s ashes. Gildshire Sports congratulates the University of Virginia and their fans for the journey complete.